The 1st and 2nd holes wrap around a series of descending lakes, which is uncharacteristic of most of the remaining holes at Weissinger Hills G.C. 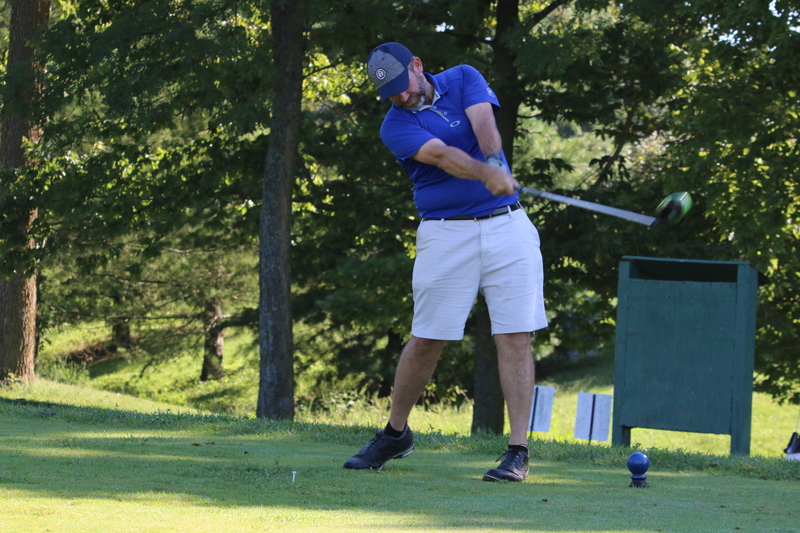 The 4th of July holiday weekend brought searing heat to the Bluegrass region, under which many of our golf courses began browning up around the edges. Fairways got faster and greens got firmer as the breeze got warmer. And Weissinger Hills Golf Course was no exception. 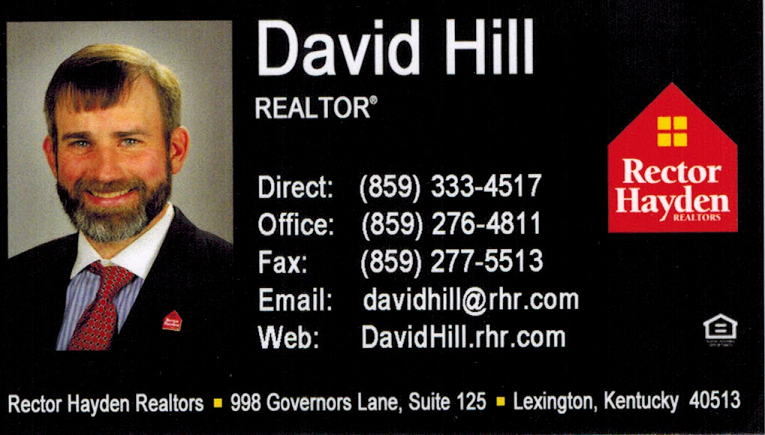 Located just two minutes from Interstate 64 in Shelbyville, Kentucky, Weissinger Hills is conveniently located whether one is traveling from Lexington or the nearby Louisville Metro. 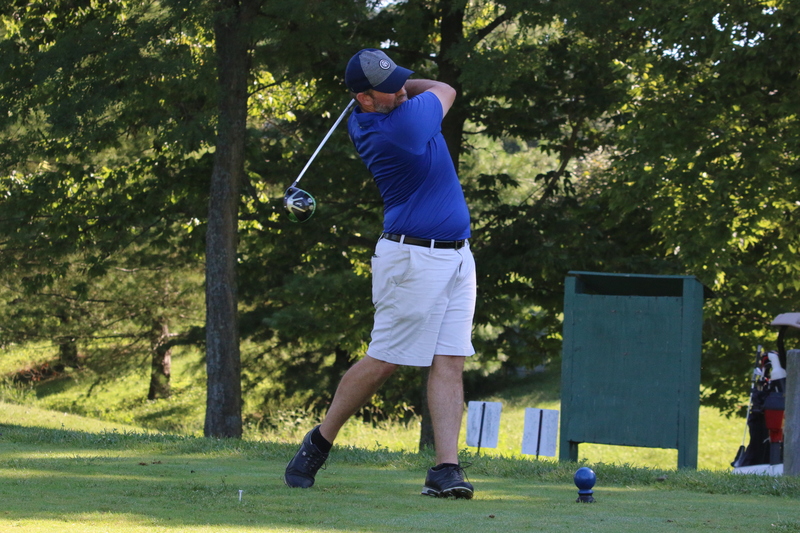 The course is built on a portion of the famous Undulata Farm, which was the formal name for the American Saddlebred farm of Civil War Veteran and prominent tobacconist, Col. Harry Weissinger. The large, slightly undulating greens are the standard at Weissinger Hills. Despite a few houses and patio homes located on the first few holes and the closing 18th hole, and a handful of loosely tree-lined fairways, the overwhelming impression that Weissinger Hills makes is that the course is wide open terrain, subject to the breezes and winds howling across the rolling terrain. 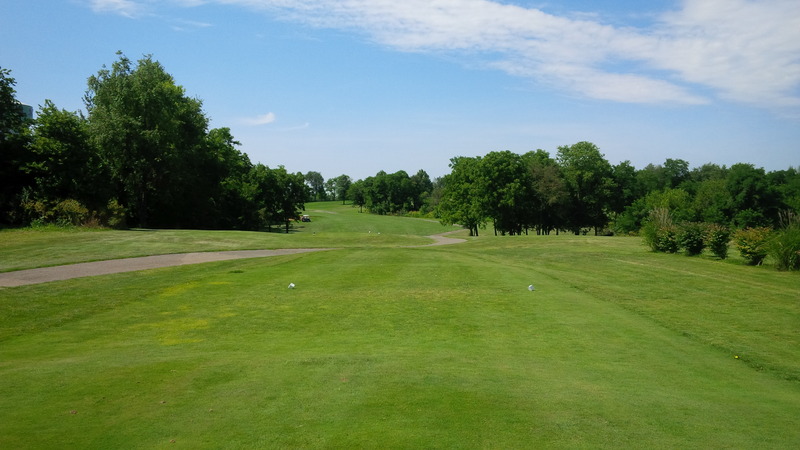 Unlike many of the most popular Kentucky courses, Weissinger Hills, by comparison, is located on a relatively flat, gently rolling collection of pasture lands. The course includes several elevated tees and elevated green complexes, but for the most part, taking into account major elevation changes isn’t an integral part of the course’s strategic defense. There was a parkland element to parts of Weissinger Hills, with small groves of hard woods omnipresent, but they really only came into play on a few holes. Weissinger Hills isn’t a particularly long course, at only 6,526 yards from the tips. It offers four different sets of tees, with only 300 yards difference between the championship Gold tees and the blue tees, from which we played. The blue tees play to a course rating and slope 68.9/123. Despite the dry, firm course conditions, the wind whipping across mostly unprotected fairways was the real defender of the golf course. Designed by Jack Ridge, Weissinger Hills opened for play in 1991. 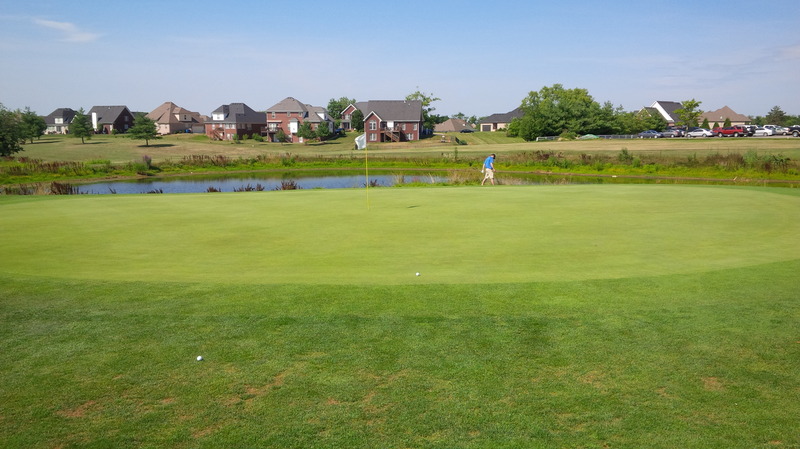 The course is now operated by the City of Shelbyville, and even at the rack rate, it is a perfectly serviceable municipal golf tract. 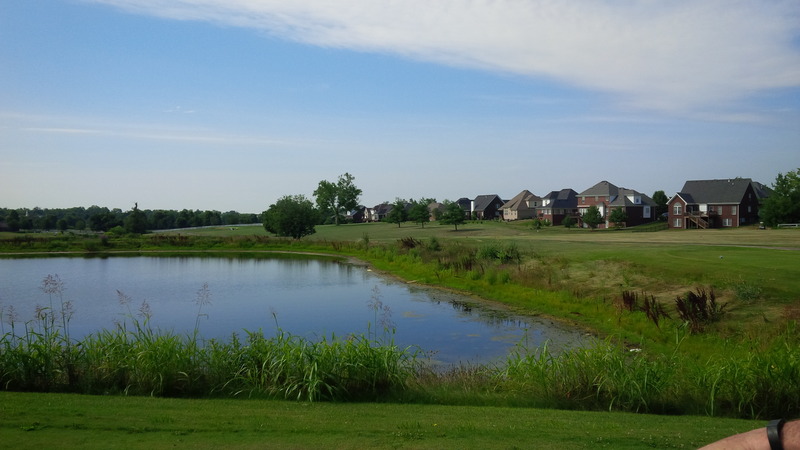 Lakes figure prominently on the first two holes on the front, and holes 10 and 18 border a large lake on the back, but that is basically the extent of water as a hazard at Weissinger Hills. The 10th hole is a devil of a way to start the back nine, with water guarding the entire left side. 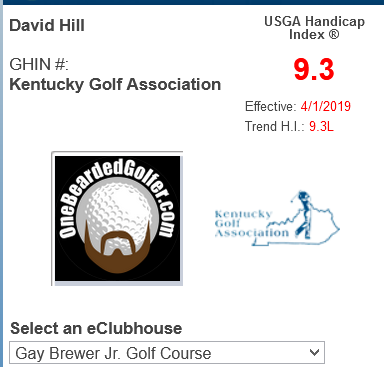 The course website describes Weissinger Hills as “well bunkered, has narrow fairways, and large greens,” which is largely true, I suppose, except that I don’t recall the bunkers really playing a significant part of our day. There were a few doglegged fairways, but mostly the course played fairly wide open. There wasn’t a lot of difference between the fairways and the rough from a playability standpoint, though there were several large unmowed areas that would punish a wildly errant drive on certain holes. The large greens were in above-average condition, for the most part. 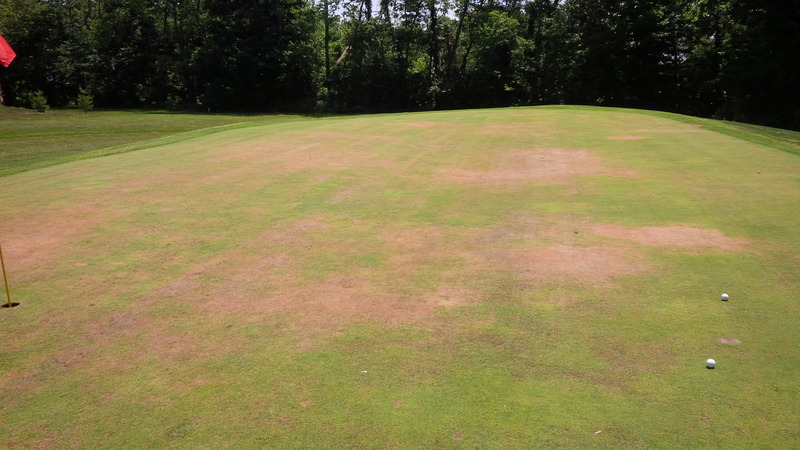 However, the summer heat was beginning to take its toll on the course, as the fairways, rough, and even some of the collars were already thin and patchy in places. The 16th green at Weissinger Hills is really disappointing, to say the least, and left an unforgettably bad impression of the course. It’s entirely possible that without some significant rain during the remainder of July, the course might be borderline unplayable by August. Then there is the 16th green, which is its own special category of disaster. Tucked back in a corner of the property in a low area surrounded by tall fence line trees, the 16th green is a complete travesty. I don’t know if it’s a budgetary concern, or what the story could possibly be to justify allowing this kind of condition to persist on one of the greens, but they need a set of fans to help move the air around and across the green. The stagnant air trapped in this low lying corner of the course heats up to beyond what the elevated turf can handle, leading to a disgrace of a putting surface. I’m no agronomist, but I do know that if the course doesn’t figure out way to circulate air around and across the 16th green, the condition will not improve. 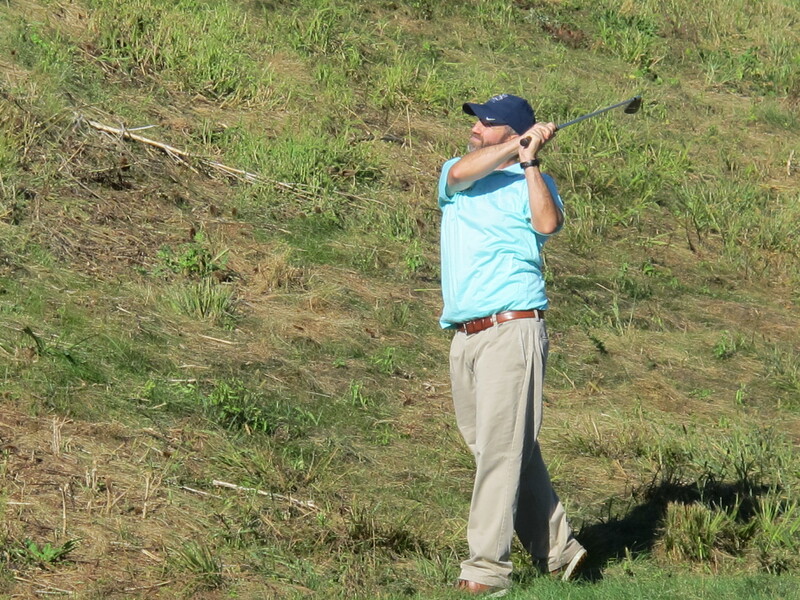 The par fives at Weissinger Hills are the most memorable of the course’s collection of decent holes. There were a few short, borderline driveable par 4 holes on the front that added some intrigue and strategy, but otherwise the course is pretty straightforward. 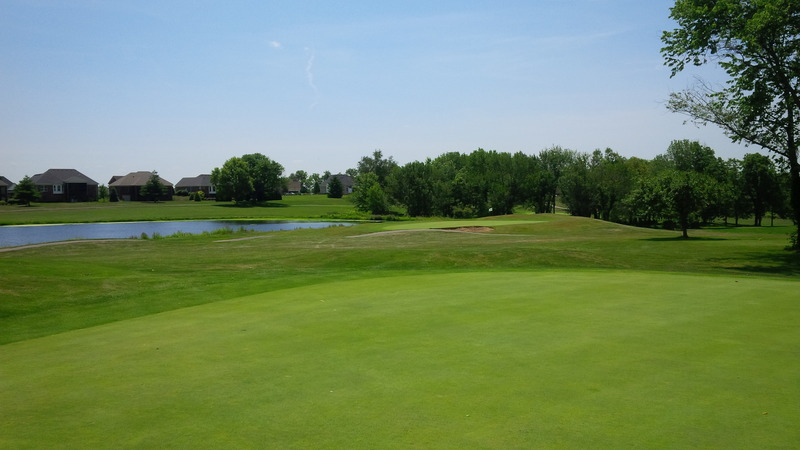 The short, dog leg par 5 18th hole at Weissinger Hills is a nice closing hole that leaves a positive last impression. One of the unique features of Weissinger Hills G.C. 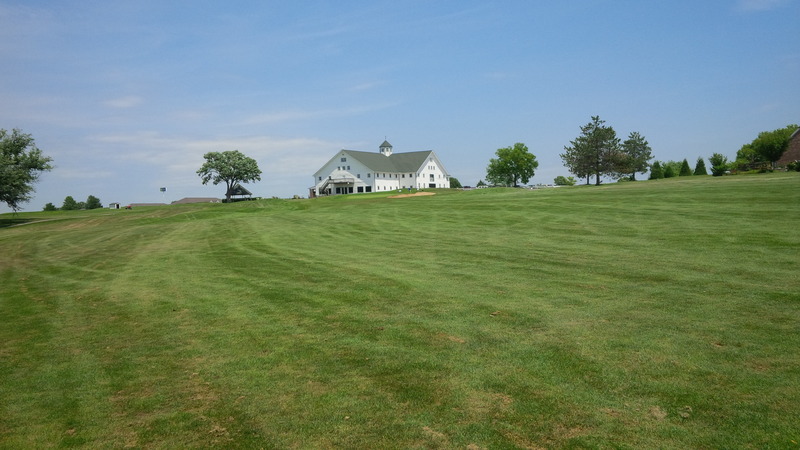 is the enormous Undulata Farm stable that has been retrofitted to house the golf course’s pro shop, restaurant, and cart storage facility, retaining a lot of the original exterior and interior woodwork and styling. 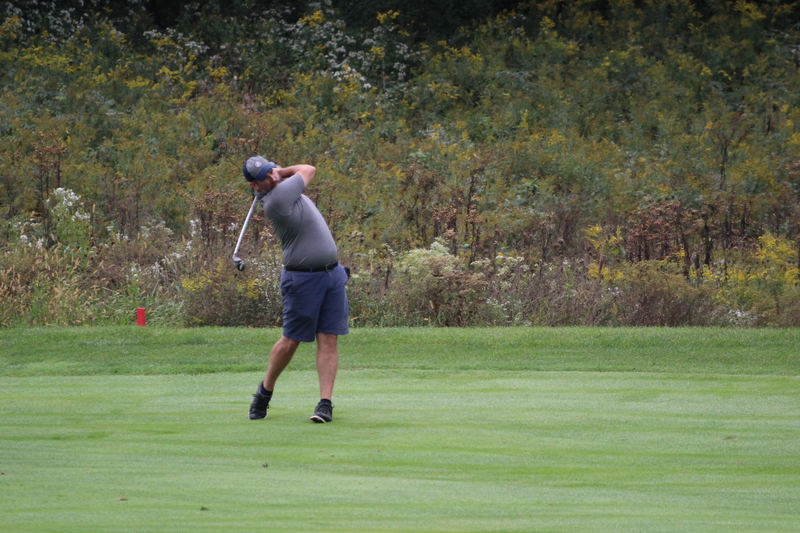 The cheeseburger I grabbed at the turn was surprisingly good for golf course food, and like the rest of the experience, pretty decent for the money (in full disclosure, Tim was generous enough to cover Chris, John Mark, and my greens fees on the day). Weissinger Hills isn’t a destination course that I’d recommend anyone go out of their way for or make part of their bucket list. For me, it was a convenient place to converge with a few of my best friends from Kentucky’s other metro areas (Louisville and the greater Cincinnati area). Really, nothing more and nothing less. Just a decent municipal golf course. Nice overview! KY has so many nice courses!